SUNY Buffalo State offers the campus and the community several opportunities through the academic year to engage in visual arts, poetry readings, lectures, performances, and socially conscious events that connect the college to the community in which we live. As Buffalo State celebrates Year of the City, a number of thought-provoking events are taking place throughout November. Most events are open to the public. Many are free or have a nominal admission price. See the best work of the Design Department faculty in an exhibit of ceramics, fibers, communication design, foundations, metals/jewelry, and wood/furniture in Upton Hall’s Czurles-Nelson Gallery. The gallery is open Monday–Friday from 9:00 to 4:30 p.m. A reception for the exhibition will be held 5:00 to 7:00 p.m. November 8 in the gallery. Both the exhibit and reception are free and open to the public. (716) 878-6032. 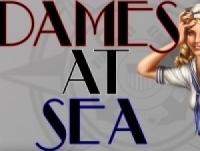 The Theater Department presents the off-Broadway musical spoof at 8:00 p.m. November 1–3 and November 7–10, and 2:00 p.m. November 3 and 10 in the Flexible Theatre in the Donald Savage Theater and Communication Building. Tickets are $15 for the general public, $10 for Buffalo State faculty and staff, $6 for Buffalo State students, and free for high school students with ID. Tickets are available through the Rockwell Hall Box Office, (716) 878-3005. The Rooftop Poetry Club hosts its fifth Poetry in the Park project, “Exploring the Poetic Nature of Public Spaces,” 3:00 to 4:00 p.m. in the Buffalo and Erie County Botanical Gardens, located at 2655 South Park Avenue. Guest speakers will introduce participants to the rich history behind the parks followed by guided workshop activities led by Buffalo State poets Irene Sipos and Lisa Forrest. Tickets are $8 for the general public and $7 for students. (716) 984-8146. The Buffalo Philharmonic Orchestra’s award-winning conductor JoAnn Falletta will usher in the opening of the brand-new Louis P. Ciminelli Recital Hall at Rockwell Hall with a 7:30 p.m. concert. Falletta, along with clarinetist Robert Alemany and the Clara String Quartet, will perform works of Boccherini, Paganini, and Kreutzer. Update: Tickets are sold out. (716) 878-3005. 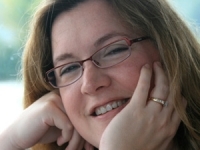 Pianist Jennifer Hayghe, an associate professor at Ithaca College’s School of Music and worldwide performer, will play the works of Granados, Scribin, Janacek, Busoni, Prokofiev, and Wagner-Liszt at 7:30 p.m. in the Ciminelli Recital Hall at Rockwell Hall. Tickets at $10 for the general public; students are admitted for free but a ticket is still required and can be attained in person at the Rockwell Hall Box Office. Tickets can be purchased at the box office, by phone, (716) 878-3005, or online. Hear the poetry of Kim Chinquee, associate professor of English, from 12:15 to 1:15 p.m. in the E. H. Butler Library in the International Students Reading Area, located on the third floor, SE Quadrant. Open mic slots also will be available. Free and open to the public. (716) 878-3558. These two Buffalo State ensembles will present a free concert at 7:30 p.m. in the Performing Arts Center at Rockwell Hall. The Percussion Ensemble, directed by Music Department chair Bradley Fuster, uses standard percussion instruments, but also employs sounds generated by found or constructed instruments such as car parts, architectural elements, and household furnishings. The West African Drumming Ensemble, directed by Music Department Instructor Tiffany Nicely, performs traditional music of the Mande ethnic groups living in Guinea, Mali, Senegal, and the Ivory Coast. (716) 878-3005. As part of Year of the City, Pamela C. Brown, the new superintendent of Buffalo Public Schools, will present the lecture, “Buffalo Public Schools: A World-Class Education for Every Child,” at 12:15 p.m. in the Burchfield Penney Art Center’s Peter and Elizabeth C. Tower Auditorium. Brown’s presentation will focus on her core beliefs and theory of action as well as strategies for improving the district. The event is free and open to the public. (716) 878-4214. 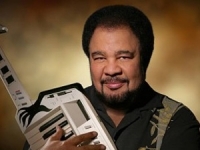 George Duke, an accomplished keyboardist, producer, arranger, bandleader, and composer, performs at 8:00 p.m. in the Performing Arts Center at Rockwell Hall as part of Buffalo State’s Great Performer Series. Tickets are $40 for the lower tier, $35 for the upper tier; $32/$27 for the Flex Pack, and $32 for senior citizens and Buffalo State faculty and staff. Students can purchase $15 tickets one hour prior to the performance. Tickets can be purchased at the box office, by phone, (716) 878-3005, or online. The Crossing the Line exhibit features drawings that explore the aesthetic sensibility that a sculptor brings to a two-dimensional surface. Located in Upton Hall’s Czurles-Nelson Gallery, the free exhibition is part of the Nor’easter Conference being hosed by Buffalo State November 14–17. All works have been selected by a jury of conference committee members. A reception featuring the artists and light lunch fare will be held from 1:00 to 2:00 p.m. November 16 in the gallery. Both the exhibit and reception are free and open to the public. (716) 878-3549. The critically acclaimed ensemble performs the works of Biber, Mozart, and Prokoviev at 7:30 p.m. in the Performing Arts Center at Rockwell Hall. Admission is $10 for the general public and free for students with ID. Tickets can be purchased at the box office or, phone at (716) 878-3005 or online. http://music.buffalostate.edu/. The Buffalo State Wind Ensemble will perform under the direction of Rick Fleming, associate professor of music, at 7:30 p.m. in the Performing Arts Center at Rockwell Hall. The concert is free and open to the public. One of the premiere performing ensembles on campus, the Wind Ensemble performs works in the traditional wind band repertoire, as well as contemporary works of various styles. (716) 878-3005. Part of the Great Performers Series at Buffalo State, this concert features versatile electric bassist Victor Wooten and Jimmy Herring, lead guitarist for Widespread Panic, Aquarium Rescue Unit, and Jazz Is Dead. Expect an explosive evening of jamming rock and soul with plenty of instrumental fireworks in an 8:00 p.m. show in the Performing Arts Center at Rockwell Hall. Tickets are $45 for the lower tier, $30 for the upper tier; $32/$27 in the Flex Pack, $37 for senior citizens and Buffalo State faculty and staff. Student tickets are $15 one hour prior to the performance.Tickets can be purchased at the box office, by phone, (716) 878-3005, or online. This seven-member band specializing in traditional Celtic music performs at 7:30 p.m. in the Louis P. Ciminelli Recital Hall at Rockwell Hall. Admission is $10 for the general public and free for students with ID. Tickets can be purchased at the box office, by phone, (716) 878-3005 or online. Celebrate the 200th anniversary of Beethoven’s Symphony No. 8 in F and the beauty of the soprano saxophone with soloist Sal Andolina and the Buffalo Philharmonia at 7:30 p.m. in the Performing Arts Center at Rockwell Hall. Andolina has appeared at major venues across the United States, including Carnegie Hall and Lincoln Center in New York. 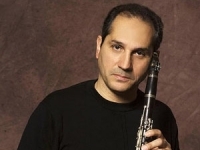 Since 1994, he has held the position of clarinetist, bass clarinetist, and saxophonist with the Buffalo Philharmonic Orchestra, where he has been featured as a supporting soloist with a variety of distinguished performers. Admission is $10 for the general public and free for students with ID. Tickets can be purchased at the box office, by phone, (716) 878-3005, or online. Buffalo State’s Pride Alliance Drag Shows is one of the most highly anticipated events on campus each semester. The 8:00 p.m. show in the Performing Arts Center at Rockwell Hall provides a true example of what a community can do when it comes together to make something spectacular.. Free and open to the public. (716) 878-3005. Legendary comedienne Paula Poundstone, famous for her ability to interact spontaneously with audience members, comes to the Performing Arts Center at Rockwell Hall for a 7:30 p.m. performance. Advance tickets are $27.50 for the Upper Tier and $32.50 for the lower tier; tickets the day of the show cost $35 for the lower tier, and $30 for upper tier. (716) 878-3005 or online.